Lower back pain is an extremely common condition with up to 80% of the population experiencing it at some time during the lives. Although the underlying pathology is usually not serious, it is a significant cause of discomfort among members of the community and has a considerable impact on the economy due to time that is taken off work. While the vast majority of patients with lower back pain recover within weeks, a small number will go on to develop long-term pain and a gradual deterioration of functionality. Most causes of back pain are the result of irritation due to poor function of the bones, joints, ligaments or muscles in your back. Such irritation can be the result of a vertebral dysfunction, a common condition that occurs when the spinal bones (vertebrae) compress or irritate the delicate nerve structures of your lower back. Injuries to these structures can result from poor posture, incorrect lifting technique, smoking, slips and falls. Other causes of lower back pain include inflammatory arthritis (e.g. ankylosing spondylitis, rheumatoid arthritis), and fractures due to osteoporosis. 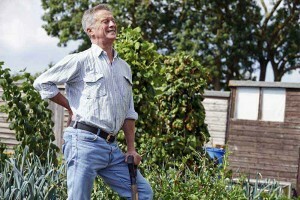 Lower back pain may also be coming from another location. Less common causes include cancer (usually from another source such as the prostate or lung), serious infections, and compression of the spinal cord.